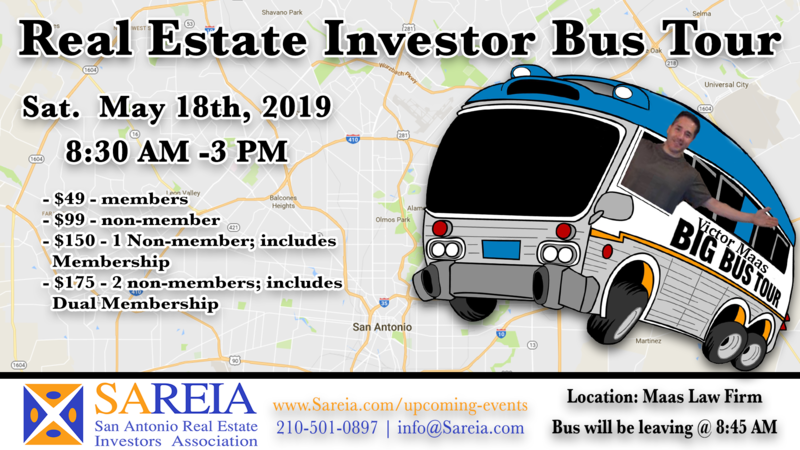 Reserve your seat on the Real Estate Investor Bus! Victor Maas will take you through current properties that he and other investors are currently working on in the San Antonio market. Bus Tours are AMAZING for those who are new to investing and those who are seasoned investors. This tour is perfect for investors because it will give you a crash course over different exit strategies that are profitable in the current market and different rehab and design ideas that will add just the spark a house will need to sell without breaking the bank. *Everyone riding the bus MUST purchase a ticket. *No Children & No Pets allowed. *Following the bus in your personal vehicle is NOT permitted.